Fast and Easy Hair that Won’t Break Your Salon Budget! 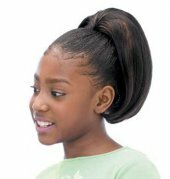 Slide on the Freetress Full Cap String Wig and pull the string. Now you’re ready to step out in style, with barely any prep time! Getting ready in the morning has never been easier. 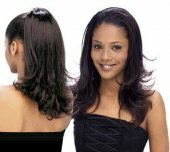 Just pull back your hair, and pull on this 100% synthetic wig and you’ll have a whole new look and plenty of complements! 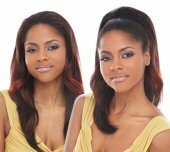 Wigs Online Store has popular Freetress wigs, including full cap string wigs that allow you to transition easily from short hair to long, or to change your color and style. 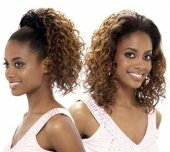 If you have curly hair and want straight, or vice versa; our string wig full cap Freetress brand wigs are the best you’ll find. When the sunlight hits the highlights and accents of these wigs, it will make your hair look shiny and beautiful. 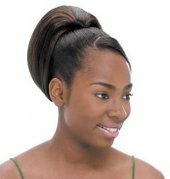 Best of all, the price of our full cap string wigs are just right!